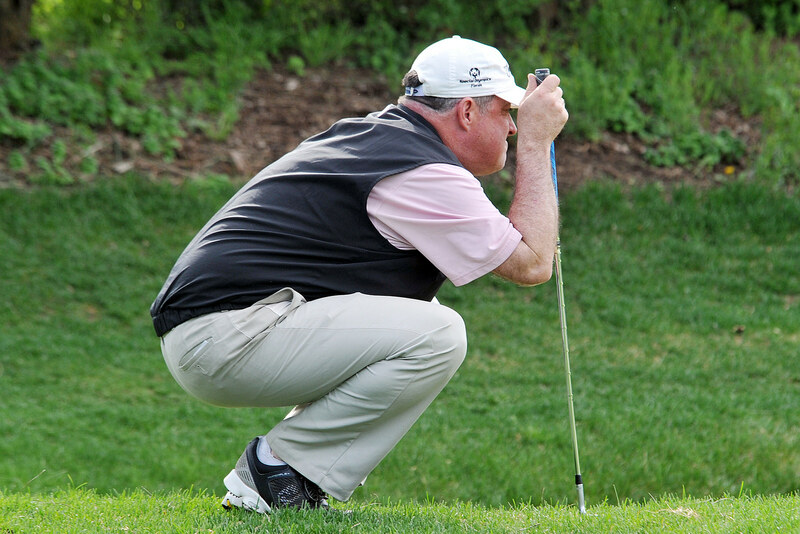 Three senior Section Professionals are tied atop the leaderboard after the first round of the New Jersey PGA Senior Championship Presented by Mercedes-Benz USA at Suburban Golf Club. In his first year of senior eligibility, Ken Pridgen of Suneagles shot his lowest round of the season with a 4-under 67. Metedeconk National Golf Club’s Brent Studer, who played in the U.S. Senior Open in 2015, carded a 4-under 67 with five birdies on the day. Frank Esposito of Forsgate, the 2017 NJPGA/NJSGA Senior Open winner and 2014 Section Senior Player of the Year, is also at 4-under. 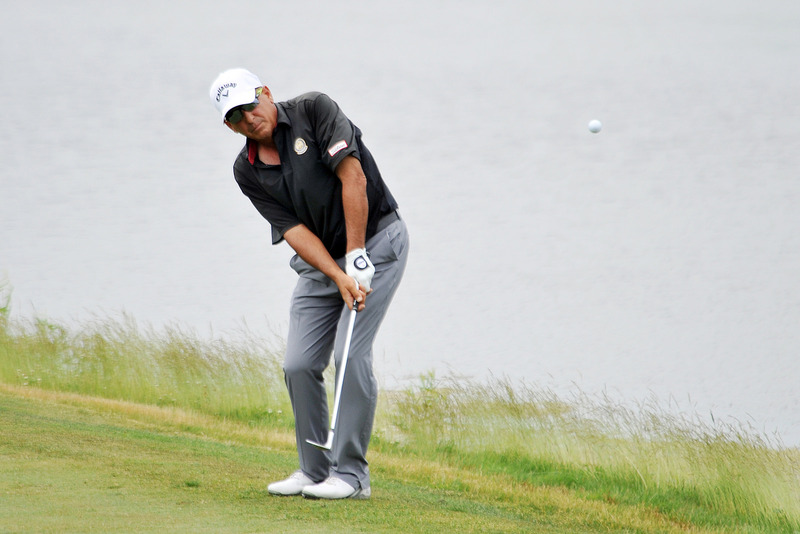 Knickerbocker’s Ed Whitman, a four-time winner of this event, sits in solo fourth at 3-under. 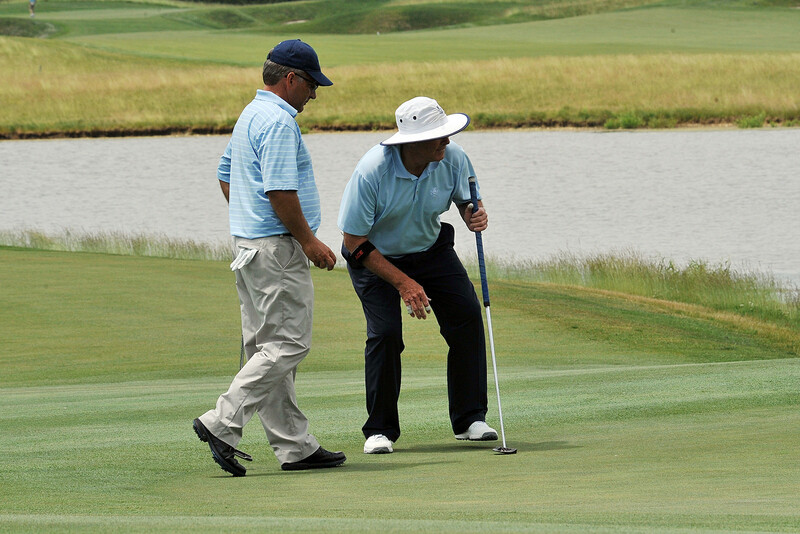 Host Section Professionals Mark McCormick shot a 1-under 70, while Paul Lejeune shot an even-par 71. Trump Colts Neck’s Bill Britton, a five-time winner, sits in a tie for fifth at 2-under with Len Siter of Mountain Ridge and Greg Baker of Rockaway River. There is six qualifying spots for the Senior PGA Professional Championship at Desert Mountain in Scottsdale, Arizona, September 28-October 1. Esposito and Britton are exempt from qualifying. The top 35 PGA Professionals in the national event are exempt for the 2018 Senior PGA Championship. Suburban Golf Club is hosting its first senior Section major championship since the 2002 NJPGA/NJSGA Senior Open. Metedeconk's Brent Studer and Knickerbocker's Ed Whitman.